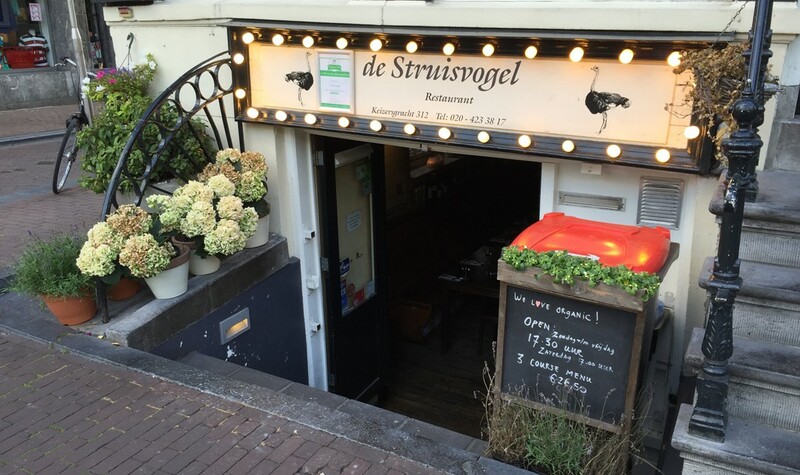 De Struisvogel is an intimate restaurant in the 9 Straatjes area of Amsterdam. 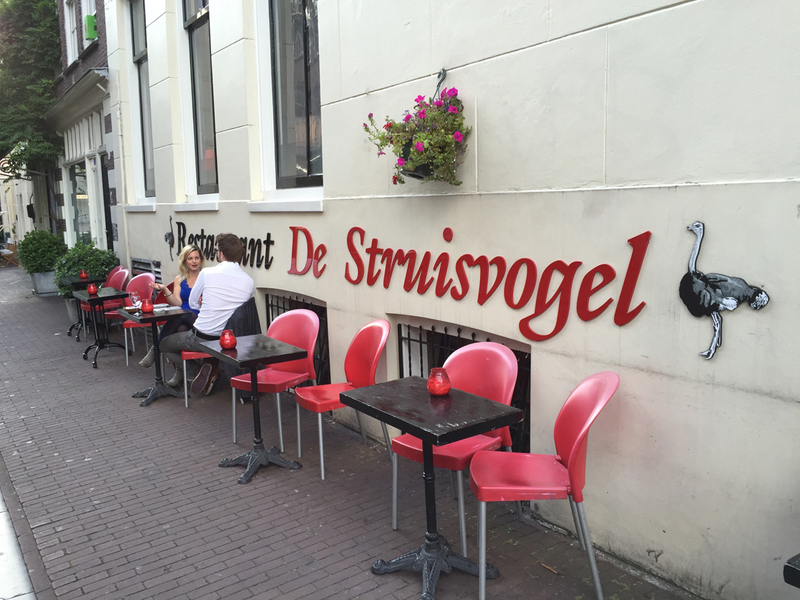 De Struisvogel serves surprisingly inexpensive, organic meals. 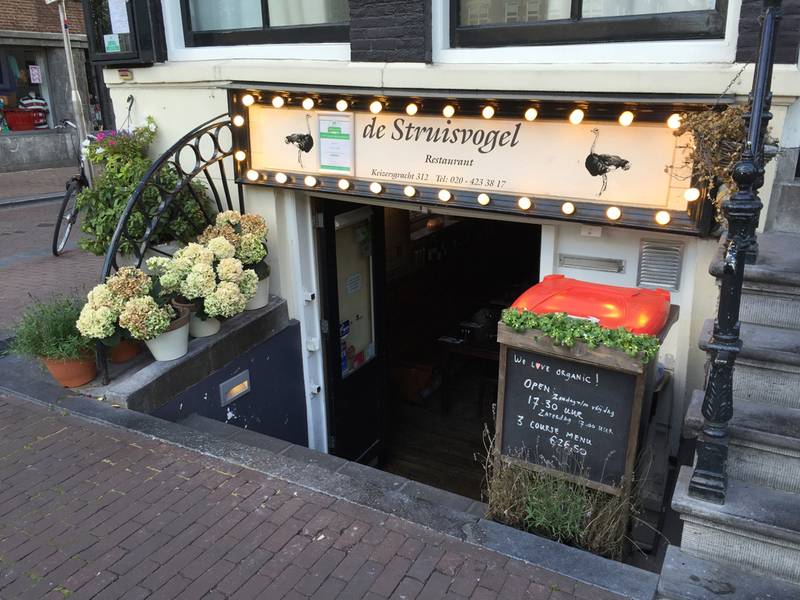 Although you may not immediately notice De Struisvogel as it is tucked into the basement of a canal house on the corner of the Keizersgracht and the Berenstraat, you’d be doing yourself a disservice if you didn’t take the opportunity to dine here. 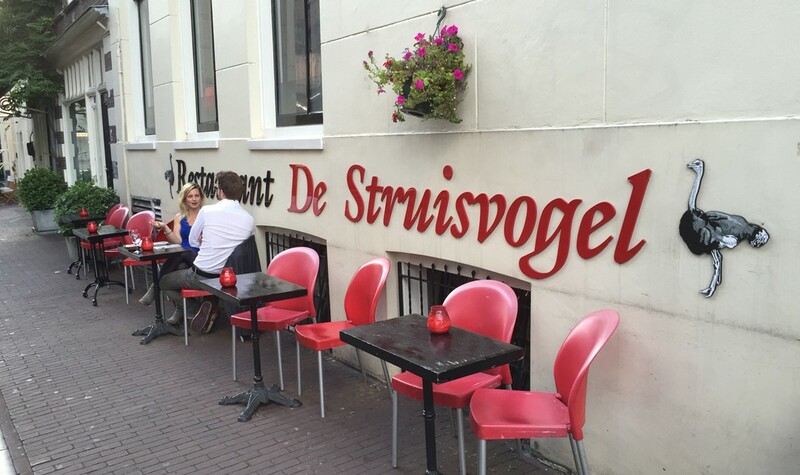 De Struisvogel offers an excellent value for money, 3 course meal that includes daily specials. 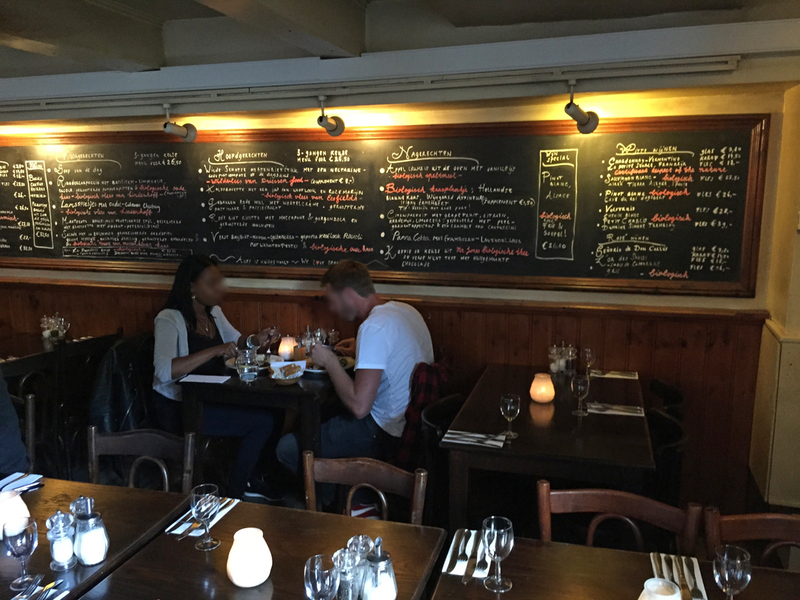 You can order a la carte but the menu is such great value you’d be crazy not to take advantage of it! There are some tried and true dishes on their well considered menu including the flavoursome Beef Carpaccio – with organic beef from Lindenhoff and organic aged cheese – which I highly recommend. 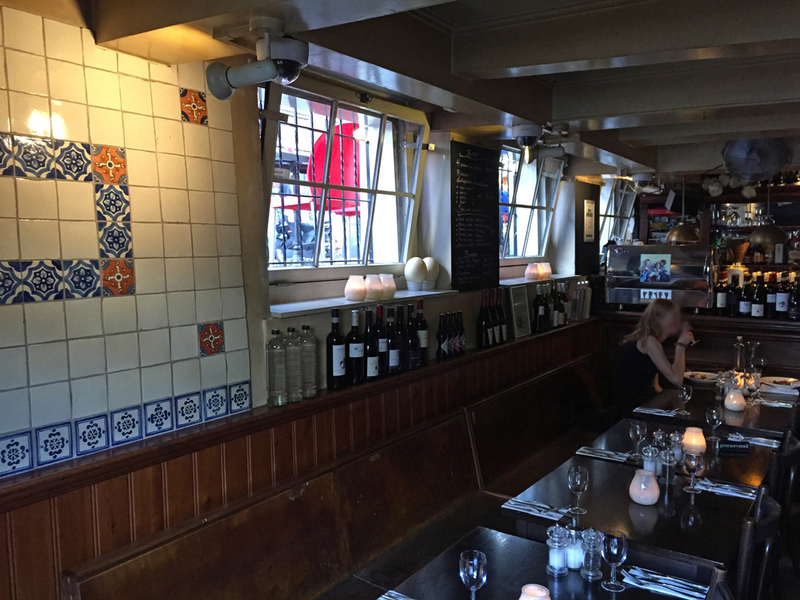 They always offer fish, meat and vegetarian options as well as variable specials. 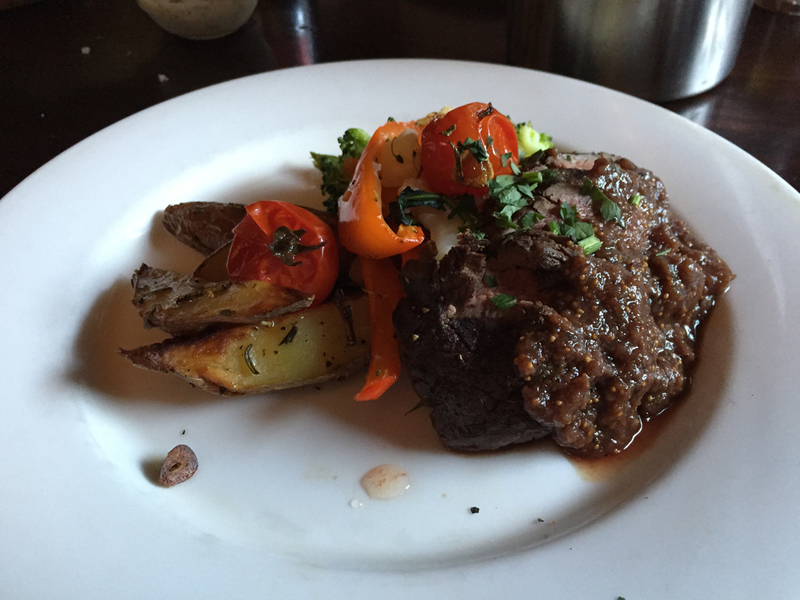 When I dined there, despite the fact it was a warm Summer evening, I couldn’t resist trying the venison steak with a wine and fig sauce. 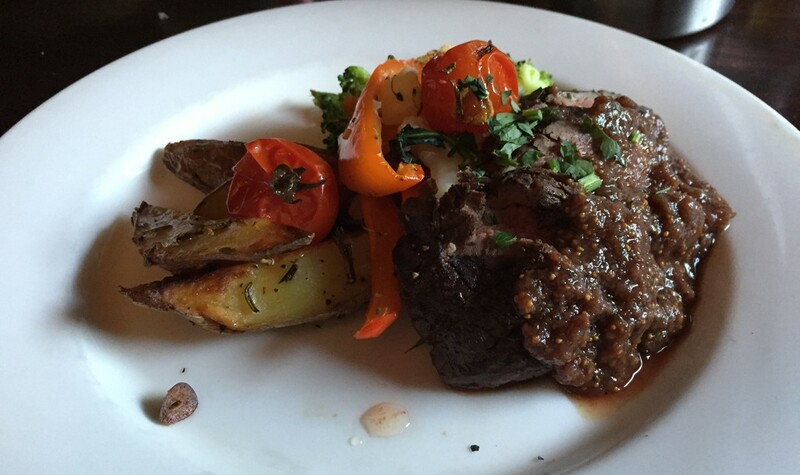 The fig seeds provided a lovely, texture to the comforting sauce and the venison was melt-in-your-mouth tender. A perfect dish. The desserts are also lovingly prepared – the Citrus Parfait with grapefruit, lemon, cardamom and limoncello, and a pomegranate sauce was so refreshing and left my tongue tingling. 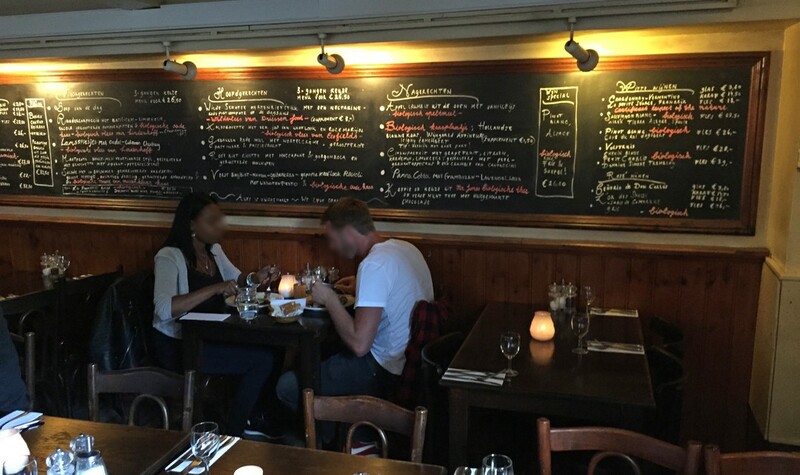 The menu is displayed on a large chalkboard along the long wall of the restaurant. All organic options are clearly indicated. 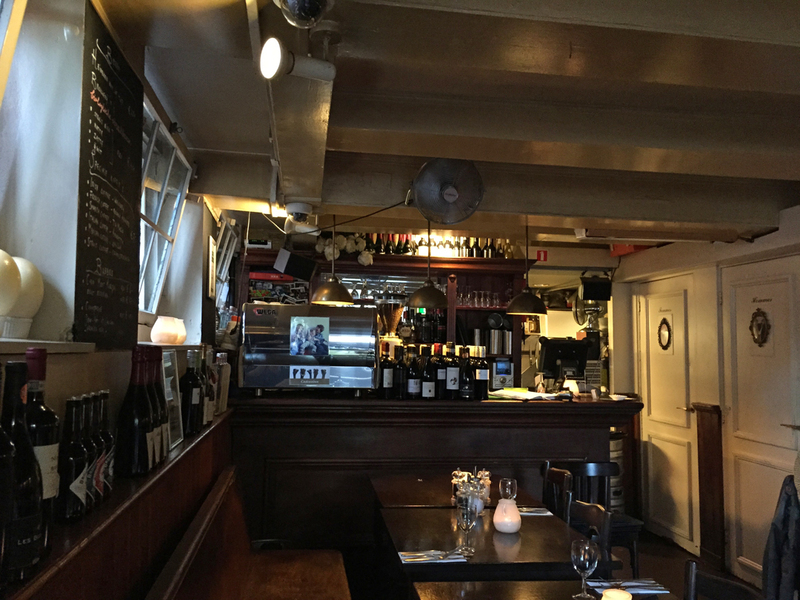 They offer a range of organic wines as well as organic beers from one of my favourite Amsterdam microbreweries – Brouwerij ‘t IJ. 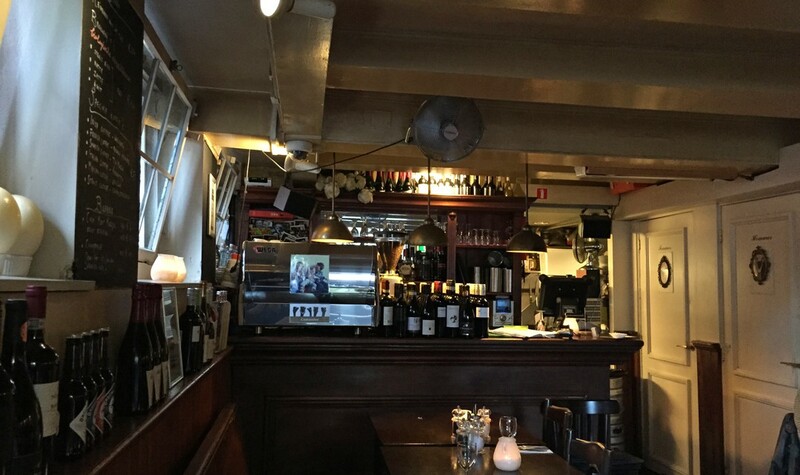 The dining room holds only around 30 or so diners and despite the fact it is in the basement, does not feel crowded. Warm wood furnishings, small windows and open doors at the entrance provide a cosy atmosphere. 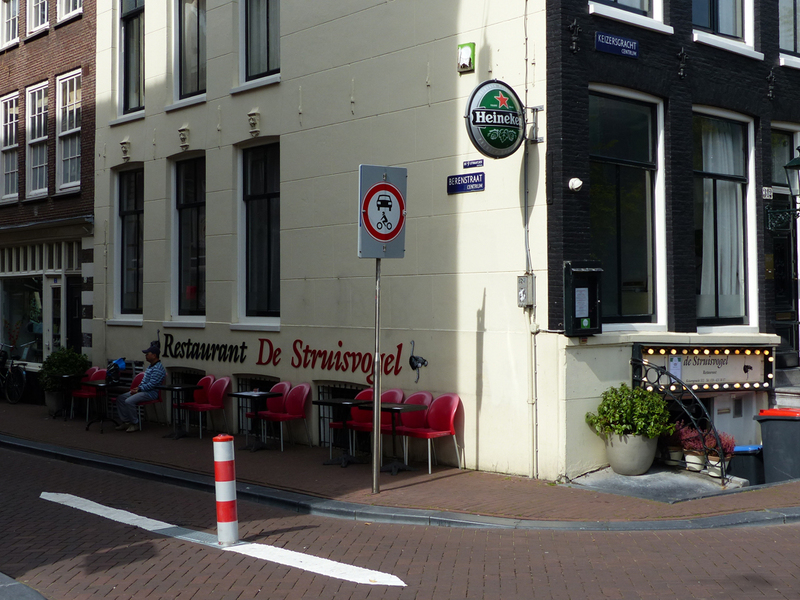 There is also a small terrace on the Berenstraat. Service is friendly, honest and attentive. 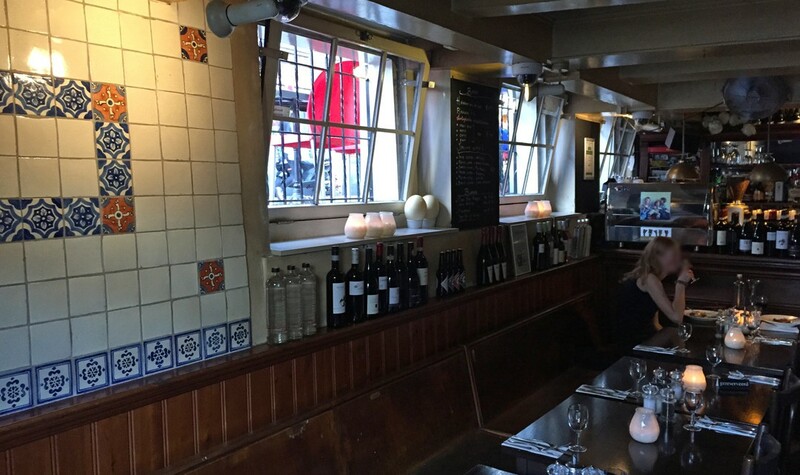 With such incredible value for money, excellent food and friendly service, you really are guaranteed of having an excellent evening. 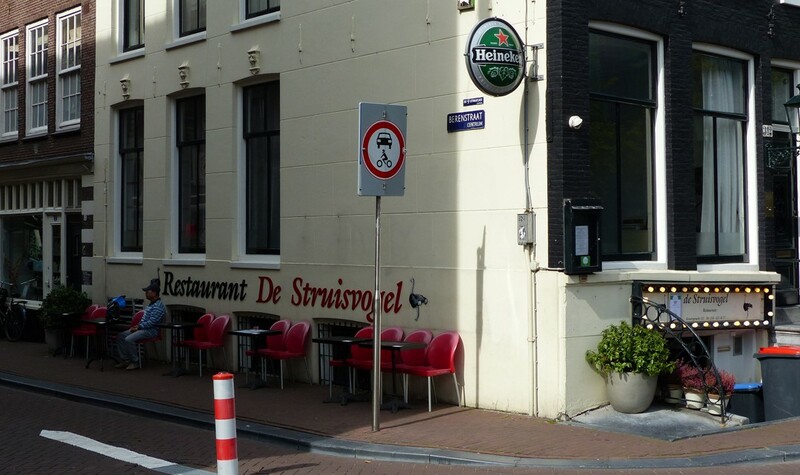 De Struisvogel prides itself on offering high quality, organic dishes at affordable prices, making conscious dining accessible for most people. Consequently we give them a 3-rating for animal consciousness and a 2-rating for the environment. They are honest that not all of the ingredients they source are organic and we do not have any information on how environmentally friendly their operation is.